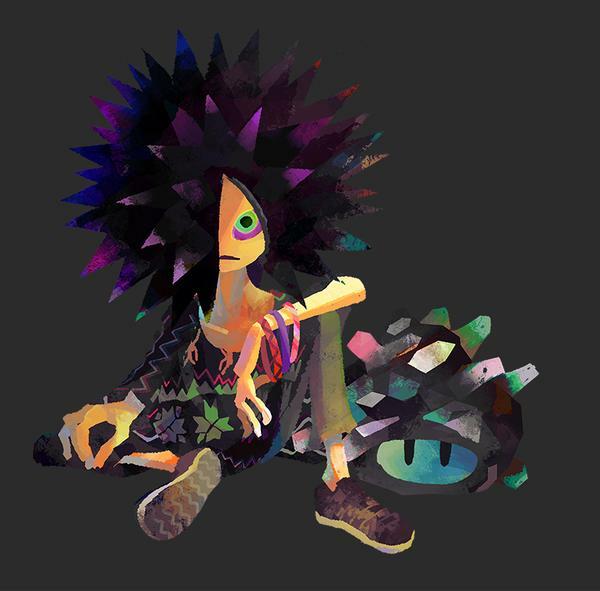 Curious about the different gear abilities offered in Splatoon? Then look no further than the graphic above, which has an overview of the various ones along with descriptions of each. Splatoon will be available starting on May 29. Well, this is certainly one of the more unique pre-order bonuses I’ve seen in a while. 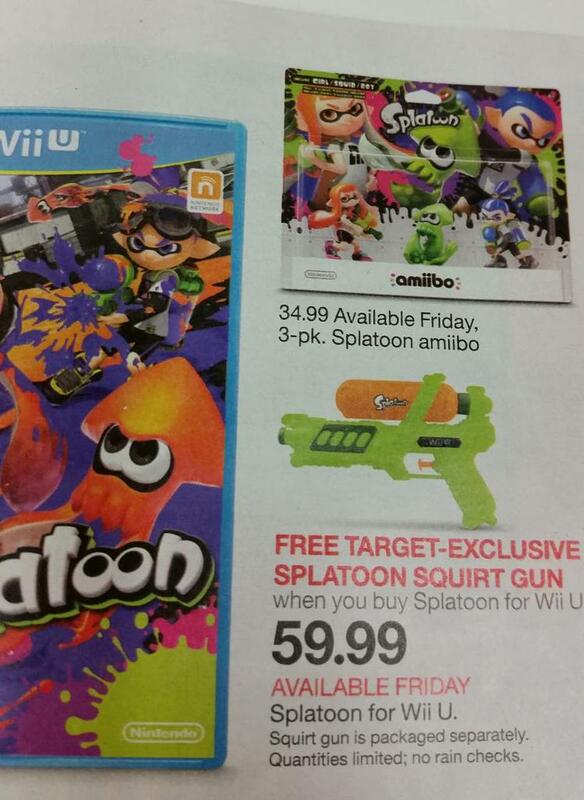 When you buy Splatoon at Target, you get an exclusive Splatoon-branded squirt gun for free as long as supplies last. Update (5/18/15): Bumped to the top. A full translation can be found here. 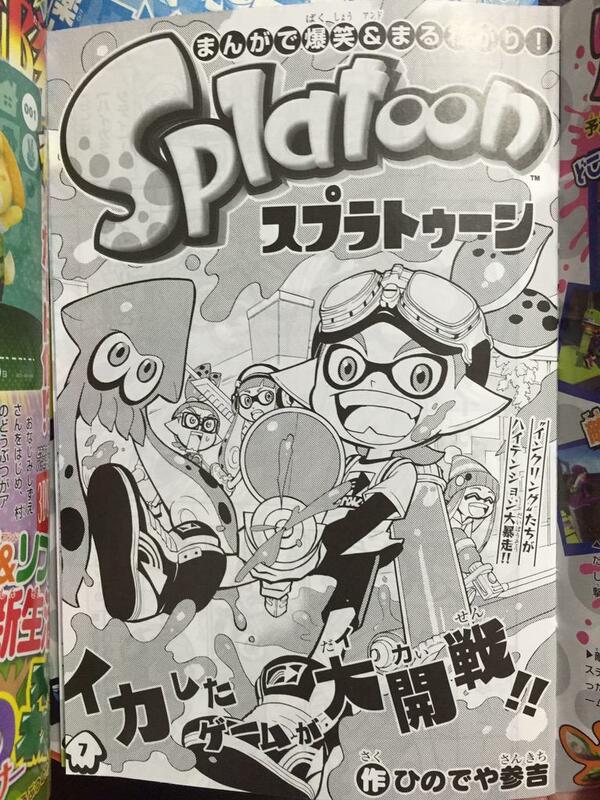 Japan now has access to a new Splatoon manga. 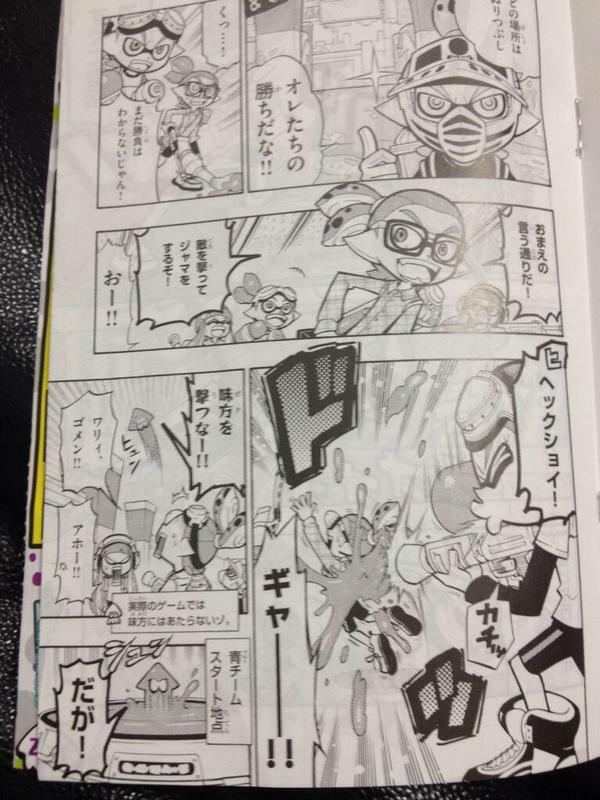 It’s apparently a one-time feature included in CoroCoro’s June issue. How neat would this be to see on a regular basis?! Thanks to Domilego4 for the second photo. 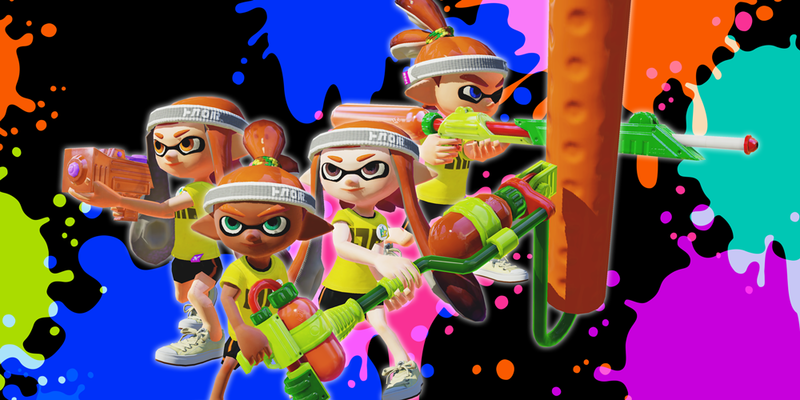 Splatoon’s release date is fast approaching. Actually, two weeks from today, the game will finally be out on store shelves. How exciting is that?! Splatoon is a pretty big deal. It’s a new IP from Nintendo, and it’s something different from the Big N. Nintendo itself seems to be promoting it fairly heavy with various commercials in all regions, a dedicated Direct (though it’s true they do that for most games), and even a special demo. Since we’re so close to Splatoon’s launch, I thought it could be nice to hold a discussion about the game. How do you feel about Splatoon? Has your opinion changed since the original reveal at E3? 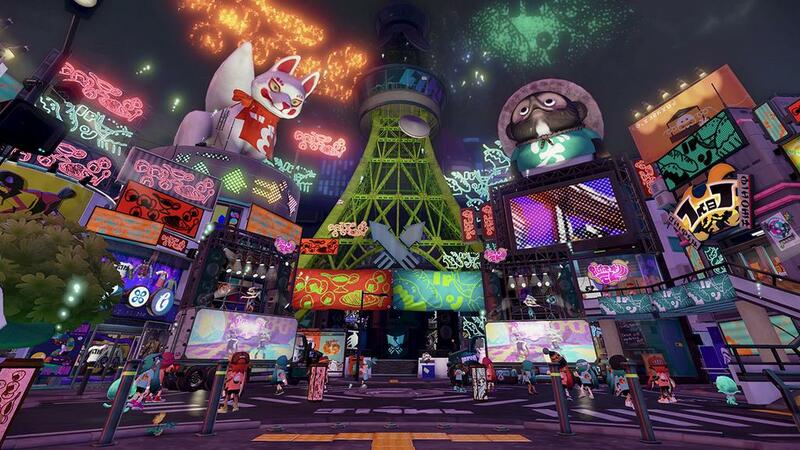 What’d you think of the Splatoon Global Testfire? Sound off in the comments below! Just a few quick thoughts from me since I’ve been feeling sick the past couple of days! I feel like this isn’t the popular opinion, but I’m actually looking forward to playing the single-player campaign more than the multiplayer modes. Don’t get me wrong: I’ll definitely be trying out the various multiplayer offerings. However, I’ve always been more of a lone gamer. That’s just the way I tend to enjoy games! 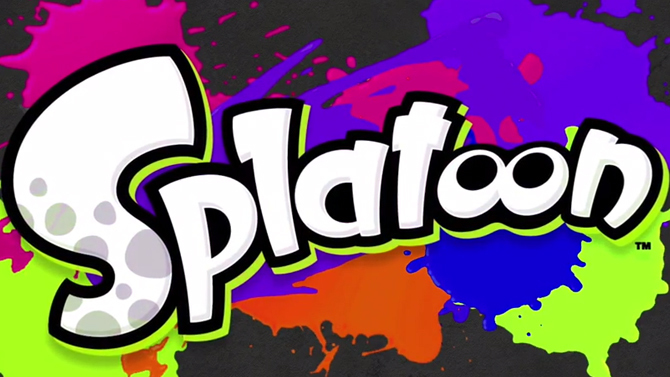 Everything we’ve heard about Splatoon’s single-player thus far sounds very interesting. I love hearing that it has a lot of variety, and some people have even compared it to Super Mario Galaxy in a way – which is certainly a good thing. Obviously multiplayer is going to be what carries Splatoon forward. I managed to get in a few rounds last week, and I think what I played managed to sell me on those multiplayer aspects more. I just need more time with the game. Highlights from last week’s topic: Do you care about amiibo? I care about amiibo! I’m sick of hearing people complain about them. They’re not DLC- they’re figurines. If you don’t want it for your shelf, DON’T BUY IT. I love the way a lot of them look and I think the in-game bonuses are fantastic and not even CLOSE to DLC. I have a nice collection of the ones I love the most and I have the Splatoon 3-pack pre-ordered. By the way- just spent the hour playing the Splatoon demo- WOW! They hype is VERY real. That was amazingly fun. I have 18 on my shelf with seven preordered. I think I kind of like them. Seeing other comments, I am more than happy to let others who truly enjoy Amiibos buy them (at non scalped prices none the less) rather than buying them and trying to convince myself that I need or want them. I do, though it didn’t really start until I bought a Peach amiibo for my niece. At first, I decided I was only going to get amiibo for my mains in Smash Bros., Captain Falcon and Shulk, and Sonic since I grew up playing his games, but then my nieces got interested, and then a Pikachu amiibo happened, and then a Zelda, and then Samus too. I’m only really interested in the Smash Bros. line as of right now, but of course that could change in the future. I want a Mewtwo amiibo really, REALLY bad though. I got the Captain Falcon and Shulk ones BTW, my Gamestop is awesome! Amiibo-land maybe? (seeing as Nintendoland is taken). Give Amiibos more of a use, instead of just unlocking costumes, weapons, abilities and Smash AI saves. Maybe even have it so they can be added into the Nintendo version of Disney Infinity, Skylanders and Lego Dimensions, that’d be awesome! Maybe something will be announced at E3? Do you have any further questions about Splatoon? Nintendo was very kind to send us a pre-release build of Splatoon for review, and Brian and I wanted to try and get some video content about the game up before its release in a couple weeks. We were going to do a simple Q&A about the game, but since GameXplain already covered a ton of the more common desired information (as comprehensively and eloquently as they always do), we thought we’d ask first: is there anything more detailed you want to ask about the game? How mechanics interplay? How it feels to only have two maps in rotation? Something very specific about online play or whatever? 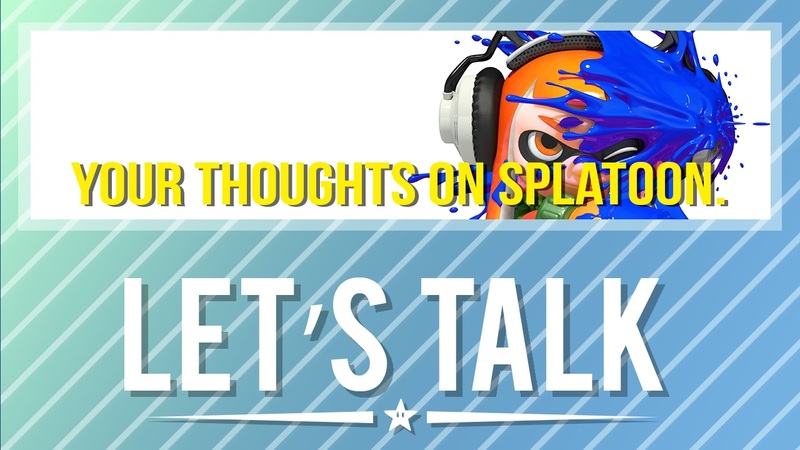 If you’ve got anything you want to ask, post a comment below, send us an email with the subject “Splatoon Question”, or tweet at us with the tweet beginning with “Splatoon Q:”. Thanks everyone! We’ll look at the questions soon and decide if there’s reason enough for our own Splatoon Q&A video. Either way, we’ll have a video review when the embargo lifts and more video content before launch as well.